Carbohydrates are the body’s primary energy source. That being said, why are we so scared of carbs? The majority of our diet on a daily basis should come from carbohydrates. I think some people initially get scared of carbohydrates because they immediately think of white bread and pasta. There are different types of carbohydrates, and while white bread and pasta are both delicious, it might not always be the best choice. Here at East Side we often encourage our clients to make sure that they are consuming up to 50% of carbohydrates in their daily diet. Because carbohydrates are the body’s primary energy source, we need to make sure that we have enough “energy” to sustain a full workout. 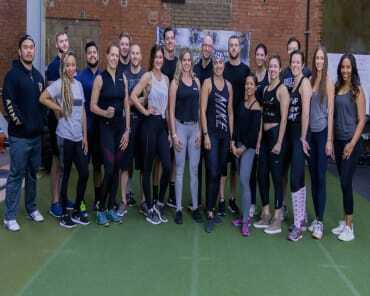 I think I speak for the majority of our class clients when I say each daily workout is not a simple stroll in the park, but a full workout where you are pushing your body to extreme efforts. A lack of efficient carbohydrates can lead to extreme fatigue during a workout, and our body can also go to our muscles as a means of energy because we do not have enough carbohydrates in our system. This can be troubling because if our goal is to build lean muscle mass while dropping fat, our bodies will have a hard time letting go “body fat”, simply because we are not getting enough carbohydrates and other nutrients. I often get asked, “I don’t feel like I’m losing weight” or “I don’t feel like I’m getting stronger”. My first response usually is “Are you eating enough?” which then that usually takes off into a conversation about daily food intake, and more times than not, people simply are not eating enough carbohydrates! There are many different “low carb” diets out there, but carbohydrates are not something to avoid, or to completely cut out. Like I said earlier, there are “good carbs” and “bad carbs”. The good carbs are also known as your “complex carbohydrates”, and your bad carbs are also known as your “simple carbohydrates”. Complex carbohydrates, like whole grains, fruits, and vegetables take more time for the body to break down and use, so therefore it supplies you with more energy to sustain a workout. Simple Carbohydrates, like chips, candy, and soda are fast absorbing so therefore these carbohydrates don’t supply you with much energy. Yes, simple carbohydrates are some of our favorite things, but just on occasion, and not as our primary source of carbohydrates. 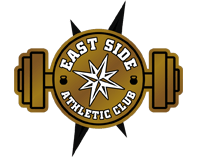 So the next time you see any reference towards a “low carb diet” you can simply ignore it and enjoy eating your good carbs that are going to help you push through your workouts here at East Side! What was your first impression of ESAC? This place is where real people go for muscles, a body builder’s gym. It wasn’t boutique or commercial, not a chain but a local place with great facilities. What is your favorite aspect of ESAC? I really liked that it is tucked away, it gives the place a community neighborhood feel. The classes and coaching, my coach actually knows my name, he knows my limits and encourages me to push them. How have you transformed during your time at ESAC? I learned gains comes with pains, muscles take time to develop. I have found that slow, consistent and steady is my moto. Although the gym is important, it is only part of the equation, you need to dial in nutrition, sleep, rest days and hydration. It takes time to figure out what works for you. Everyone is unique and everyone’s plan will be different. Have you reached any goals, what are your future goals at ESAC? Not yet, I have only just begun to understand how my body accepts muscles and where and how I can tweak my routine to achieve my dreams. I think a good attitude, an open-mind and willingness to leave your ego at the door is key to building a lifelong commitment to strength training. What time do you attend ESAC? If you could say one thing to your coaches without any repercussion, what would you say? Let’s dance, I often bust-a-move while lifting. It makes me smile. What would you say to someone thinking about signing up at ESAC? If you want muscles there is no easy route. You need to put the time in, be committed every day to the mission. Consistency is very important, tracking your fitness really helps. It is important to see your progress so you can stay motivated, in addition you can determine where you need to improve. The key is not to burn yourself out but find a happy flow that works for your life and goals. What was your first impression of ESAC? I was intimidated, no doubt. I had never done strength training, except picking up a dumbell and doing workouts from Shape, or Health magazines a few times. But I had done yoga for over a decade, and martial arts for several years. When you walk into a gym, or a dojo or a yoga studio, you're asking people to accept your presence, with all your bumps and flaws and quirks. And I've been to enough yoga studios and dojos to know how to get a feel for the energy of a place- almost a sense of common purpose and community. Some places have it, and some don't. East Side has that energy, that sense of "we're all in this together". Every single person there is working towards a goal, they all have a drive to better themselves. And if you have a goal, whatever it is, or you have drive, even a little bit, you'll fit right in. What is your favorite aspect of ESAC? The people. We could be lifingrocks in a giant hut with a dirt floor (instead of using all this amazing equipment), and as long as the people were still there, it would be an amazing place. William, this is not an indication that we need to get rid of the glut-ham machine! Because I love that thing. What time do you attend ESAC? Any time they are open, but not before 9 am because I hate working out early. I wish they were open all the time, because my schedule is so wacky! What would you say to someone thinking about signing up at ESAC? Do it. Take the plunge. And keep taking that plunge. It will be so, so worth it. What was your first impression of ESAC? My first impression of ESAC was that this program is exactly what I’ve been looking for! The workouts are very innovative, challenging, yet different every time. 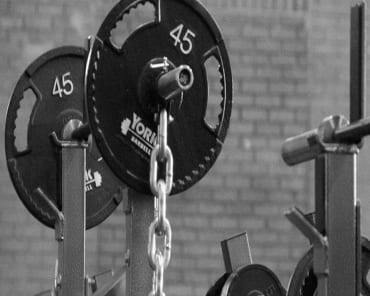 Coming from a collegiate athletics program it was hard to find a gym that offered the same kind of training. However, ESAC offers everything that I need and more! What is your favorite aspect of ESAC? My favorite aspect of ESAC is the close-knit community. The class sizes aren’t overwhelmingly large, where everyone can seek just the right amount of attention from the coach. Everyone is so friendly and truly encourages one another throughout every workout. The positive, upbeat energy that the coaches and other members create, sets the tone for the class. Although we may have different goals that we are trying to obtain, we hold each other accountable in a unique way. What time do you attend ESAC? I like to attend the class at noon. I’m a student, therefore it is nice to have a timeslot where I can get a workout in during class or lunch breaks.